Sydney, 1916-02-16. 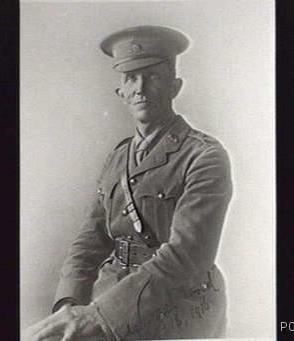 Portrait of Lieutenant Colonel Tannatt William Edgeworth David DSO, a geologist who advised and suggested the use of miners for tunnelling and engineering works at the Dardanelles and elsewhere. (Donor A. Edgeworth). Sourced from the Australian War Memorial website. Sir Tannatt William Edgeworth David was a Welsh-born geologist and professor attributed with the discovery of the Greta coal seam. In 1886 he began to survey the Lower Hunter and found the South Maitland coal deposit. He worked as Professor of Geology in Sydney, and in 1907 went with Ernest Shackleton on the first expedition to the South Pole. David enlisted in the AIF at the age of 58, having convinced the government to start the Australian Mining Corps, a band of geologists and miners to engineer trenches and tunnels. He was a Lieutenant Colonel on the Western front during World War I and was knighted on his return in 1919.